A sense of community can be the deciding factor for buyers of luxury real estate. Of course, if that community is a cluster of a multi-million dollar ski-in, ski out homes in one the most prestigious ski resorts in the world, that doesn’t hurt. One of the most charming communities we have ever encountered can be found along the Last Chance run in Deer Valley. What these homes have in common is woodcarvings of animals and Native Americans on display for all to see as they ski by. One of the homes features raccoons. Another has bears skiing on the roof. 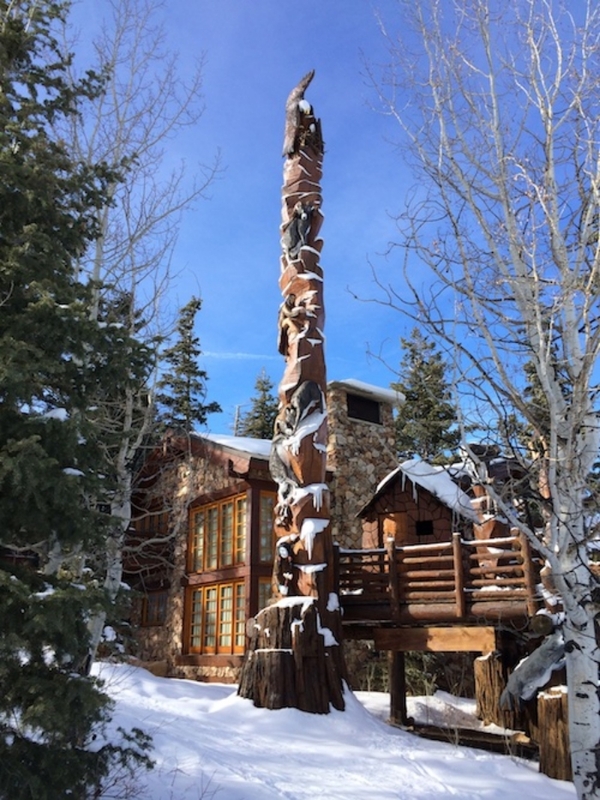 And, another has a three-story hand carved totem pole with a bald eagle and nest at the top. The community spirit is palpable, with neighbors out-doing each other as if it were a high-end Christmas decorating contest. The craftsmanship however, speaks for itself. When you show high net worth buyers homes in luxury communities, take the time in advance to discover whcin ones have a true sense of community. This factor alone can be the tipping point in clinching the sale.